I think this guy basically pointed out something that I see as a huge confusion in your argument: you conflate what data needs to be explained, with what the best explanation of that data is. Specifically, in the case of the Resurrection, people don't believe it because of the data we have concerning the empty tomb, the post-mortem appearances, and the origin of the disciples belief. Those facts aren't supernatural and are open to historical investigation. Rather, people think that the best explanation of that data is that God raised Jesus from the dead. On the other hand, there are certain facts about the Salem Witch Trials which we know. However, unlike the "Resurrection case," there are plausible naturalistic hypotheses for Salem that aren't analogous and parallel to the specific historical circumstances surrounding the life and death of Jesus. Other strong disanalogies exist as well, but this one is notable. I will say that you do address something underdeveloped in NT studies though: the relevance of modern cognitive psychology to historical sources. That is the real merit of your work on this in my opinion. PS: Hume pointed out that if the worlds religions have historical evidence on epistemic par with one another then they cancel each other out. However, you have chosen a case that wouldn't cancel out Christianity. Specifically, magic and Christianity aren't incompatible. You should have chosen something like alleged miracles from Islam, or Buddhism, or Hinduism (Good luck though, these religions don't rely on miracles for their truth). It seems that both sides are agreeing to frame the debate in terms of a "God of the gaps"; a God who needs to violate the Laws of Nature to make his presence known. If that's the case, I think the Christian loses this one. @Silly atheists - By conceding that the only proof of God's hand can be through a direct violation of the "Laws of Nature", jayman777 loses the debate from the onset. Verifying whether or not laws of physics were violated at an event 2,000 years ago, will always at best be inconclusive. As an analogy, take the story of the destruction of Sodom by fire raining down from the sky. Let's assume for sake of discussion that the story was based on a kernel of truth. It's only within the last 300 years that we have a naturalistic explanation for balls of fire can fall from the sky (e.g. meteors). IOW, the story of Sodom being destroyed no longer requires God to violate the Laws of Nature. If a Christian has a problem with this fact, it's only because he's put himself in a stupid corner. "Verifying whether or not laws of physics were violated at an event 2,000 years ago, will always at best be inconclusive." @Some Guy - It's inconclusive, because you only have one instance in 2,000 years. So you could reasonably say, "we think the laws of nature might conceivably have been violated" (whatever that means), but that doesn't accomplish much. And I say "at best", because you're setting yourself up for a plausible naturalistic explanation to be found at some point in the future, as could be claimed for the firebombing of Sodom. Oh I see. Instead of arguing with you about this particular point, I instead wanted to ask you if you have ever heard of, or better yet, read a book called Hume's Abject Failure by John Earman? I think that you might have your mind blown if you read it... and/or I could just give you the meat of it here and now as well. PS: Are you a Christian? Sorry, I haven't read it. I don't ascribe to Hume's definition of "miracle". That's because, like Spinoza, I don't think it's what any believer prior to 1748 considered to be the definition of "miracle". I am a Christian at least to the extent that Spinoza was a Christian. 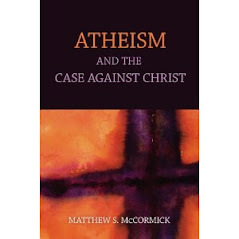 I'm sure that many Christians consider me to be atheist, and I am a former militant atheist. Hmmmm... I am interested to try and understand what you mean by I am a Christian as far as Spinoza was a Christian, and what you think actually happen at the "Resurrection" event is you define a miracle like Spinoza did. So, humbly, would you describe your view of the Resurrection, and how you think you may differ from a "typical" Christian. SillyAtheists: Specifically, in the case of the Resurrection, people don't believe it because of the data we have concerning the empty tomb, the post-mortem appearances, and the origin of the disciples belief. In my experience people's belief is not based on this evidence at all. This stuff is brought out to justify the belief, post hoc. SillyAtheists: and are open to historical investigation. SillyAtheists: Rather, people think that the best explanation of that data is that God raised Jesus from the dead. This works back to my initial point - people use this sort of thing to buttress their beliefs, but these sorts of claims are not rationally coercive. Havok, do you have anything to say about the actual topic of this blog. So far, you haven't disagreed with the point being made by Silly Atheists. jayman777: It should also be noted that the apostle Paul was not grieving the death of Christ. What? Paul has never been considered an eyewitness to the resurrection. I have never found the empty tomb argument to be convincing. "Hey look, I have an invisible dwarf unicorn in the palm of my hand. You don't see it? That proves it's invisible!" 1) How do you explain the empty tomb? 2) What jayman777 meant by, "It should also be noted that the apostle Paul was not grieving the death of Christ" is that Mccormick's attempted grief hallucinations explanation for the post-mortem appearances of Jesus has weak explanatory scope and power because Paul who was not grieving, enountered the resurrected Jesus on the Road to Damascus while he was an enemy of the Christian movement. Let's practice the art of representing our opponents accurately a little better and also do them the honor of putting thought into our responses to them. The prevalence of people experiencing some or all of the symptoms of bipolar disorder in the general population is thought to be as high as 5%. Every time I read passages like this, or talk to a student who's got hyper-religious thoughts and some mental illness problems, I think of Paul. That certainly is an interesting excerpt, but you haven't done anything to demonstrate that Paul was bipolar. I wonder what justification you have for thinking that, if any? Unfortunately, the genre of Psychobiography is rejected by historians. So, if you are able to demonstrate your assertion with an argument, you will be responsible for an entire paradigm shift in the study of ancient history! 1. Martin Hengel and Anna Maria Schwemer, Paul between Damascus and Antioch, trans. John Bowden (Louisville: Westminster/John Knox Press, 1997), 342; cf. 40-41. See also Martin Hengel, The PreChristian Paul, in collaboration with Roland Deines (London: SCM, 1991),p. 79. SomeGuy: Havok, do you have anything to say about the actual topic of this blog. So far, you haven't disagreed with the point being made by Silly Atheists. Yeah I did. SillyAtheist was claiming that certain literary events are historical facts (as you do in a later comment). SomeGuy: 1) How do you explain the empty tomb? The empty tomb is a literary device. An explanation doesn't need to take it as a literal historical event, because we have no solid evidence of it - just cultic propaganda written 40+ years after the supposed event. SomeGuy: enountered the resurrected Jesus on the Road to Damascus while he was an enemy of the Christian movement. Paul didn't encounter the resurrected Jesus. The best I think that can be maintained is a revelatory experience, a vision, and not an encounter with a flesh and blood being. SomeGuy: Let's practice the art of representing our opponents accurately a little better and also do them the honor of putting thought into our responses to them. I can understand rejecting Psychobiography, but for me the best reasons to reject psychobiography go 10 times as well for rejecting supernatural interpretation of historical data, the claims far outstrip the evidence that can be presented. Some Guy: 1) How do you explain the empty tomb? What's to explain? It is one plot twist in a story. There is no historical verification of any "empty tomb" outside the books of the New Testament, which were written by fervent believers decades after the alleged events. Outside of those stories, there is no historical record that Jesus H. Christ ever lived, let alone died, or was buried. And supposing that I granted, ad argumentum, that Jesus H. Christ lived, was crucified, and placed in a tomb, and that his followers returned one morning to find the tomb empty, there are many more probable and less miraculous explanations which could be entertained. Maybe the Romans noted that the tomb had become a rallying point for undesirables, and removed the body and burned it (parallel in current history). Maybe a fervent and demented follower stole the body to fuel tales of a resurrection. Etc., etc, etc. There is no shortage of non-miraculous explanations. What is your explanation for the fact that insects have six legs, not four, as described in Leviticus chapter 11? "While I accept a natural explanation for the Salem Witch Trials, I do not claim that I can definitively rule out a supernatural explanation." How lucky for John Proctor and Rebecca Nurse they didn't have to rely upon jayman for their defense. @Matt - That's a super interesting topic, IMO. We often admire artists who have certain types of mental imbalance, because the mental imbalance seems to actually contribute to creativity. And it's not just bipolarity -- I have interviewed several schizophrenics about their theories of the world, and they often have these amazing insights hidden among all of the insanity. Autism is another example. People with Asperger's are considered to be unreliable in many areas (like being able to think telologically), but it turns out that their insights in some areas are surprisingly good. @Some guy - Sorry I missed your comment. Basically, I agree with Spinoza that the very phrase "violation of the Laws of Nature" is incoherent and non-Biblical. The concept has always seemed like complete nonsense to me. Like Spinoza says, a "miracle" is just something that is exceedingly rare, and of a sort to be interpreted as a sign. The phrase is not incoherent at all. That is, not if you define a law of nature as an empirical generalization of observable physical relationships and behaviors for which we have thus far no confirmed, repeatable contradictory observations. E.g., the poker hand aside, the next time you walk into your bathroom, at any one time the micro physical particles which comprise the atmosphere in the bathroom will occupy a certain space. The probability of any one arrangement is, to say the least, 'exceedingly' low, but any one assemblage is not a miracle, no? To the avoid being too inclusive, we ought to define a law of nature along the probabilistic lines stated above and then define miracles with respect to that definition. "The mere fact that one event has quantitatively more evidence than another does not mean we ignore the event with quantitatively less evidence. Seeing, hearing, and touching the physical Jesus is qualitatively better evidence for the supernatural than the visionary experiences of the afflicted girls in Salem." We don't have "seeing, hearing, and touching" of the physical Jesus. We have anonymous, religious texts that claim that people have seen, heard, and touched the physical Jesus. There's an enormous difference between the two. Not one single person in the first century put his name on a document claiming he had touched a flesh and bone Jesus.